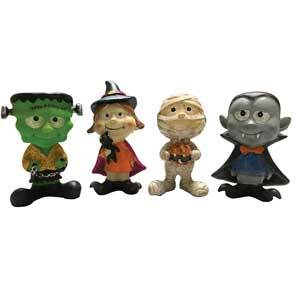 • Sweet characters have bright colors with glitter accents and are made from resin. • Each measures 2.5”L x 1.50”W x 3.75”H. • 24 per case, $4.00 each.